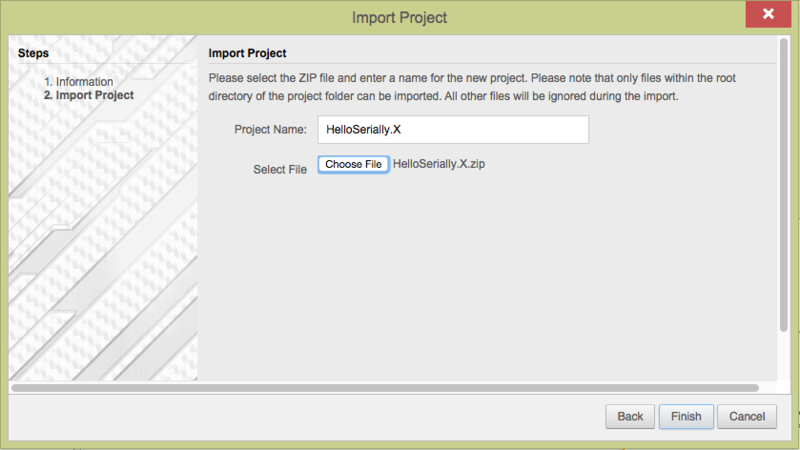 Download the project file and keep it in a .zip format. Do not unzip the project file. 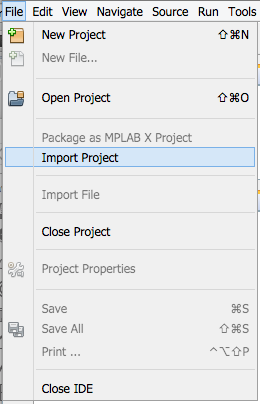 In MPLAB® Xpress select Import Project from the File menu. The Import Project screen will appear. Click on the Next button to get to the screen shown here to load the project file. Click on the Browse button to open the search for the project .zip file you download, locate it and click Open. This will load the project into MPLAB® Xpress. 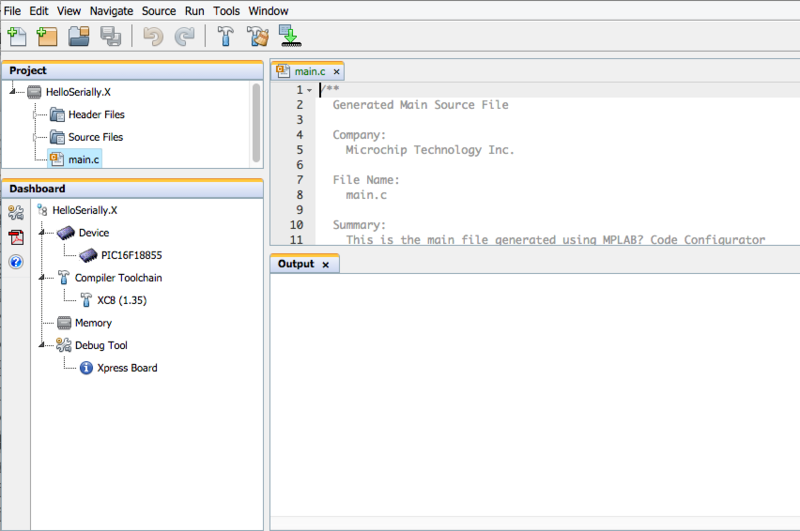 You will see the project files in the project window and the main.c file will appear in the editor window. The project dashboard will show the device used, compiler used and the development board. You are ready to compile and program the device on the development board and run the project.